Buy online our clothing and fashion fabric 'Notte' Blue Wool Crêpe, Made in Italy. Our wool crepe is a superior 100% pure wool fabric suitable for all seasons, even summer, but perfect in the spring. A lightweight fabric, fluid, with a grainy crepe surface, comfortable and strong, makes any garment truly sophisticated. Perfect for sheath dresses, also good for skirts, ample classic trousers, jackets, overcoats. You’ll catch everyone’s eye. 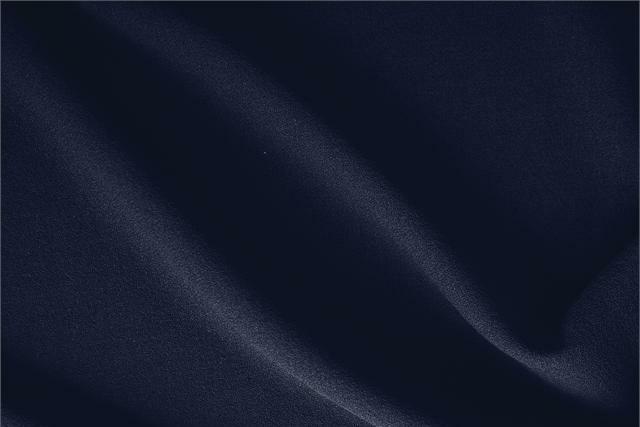 Notte Blue Wool Wool Crêpe Plain fabric for Dress, Jacket, Light Coat, Pants, Skirt.